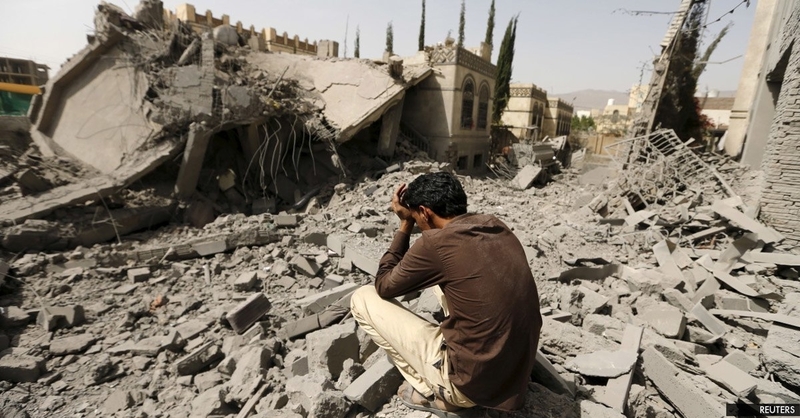 Yemen’s army spokesman Yahya Sarie said in a statement on Monday the US-Saudi fighter jets have carried out over 57 strikes on several Yemeni provinces over the past four days. The strikes hit several of the provinces of Sana’a, Hajjah, Jawf, Sa’ada, Taiz, Marib, Najran and Asir province, Sarie said. Sarie explained that the army forces have repelled the militias’ eight attacks in Hodeidah, Asir, Taiz, Dhalea, Jawf, Najran, Jizan and Sana’a province, killing and injuring dozens of the militias. The spokesman added that the army destroyed a number of military vehicles of the militias and bombed three military depots in the border provinces of Najran and Jizan.